Achieving a splendid synergy between content and style, The Australian Ballet’s new season of Sir Kenneth MacMillan’s Manon complements the brand new orchestrations of Massenet’s music with lovingly refreshed sets and costumes as well as Principal Artists at the top of their form and Guest Artists drawn from the ranks of ballet royalty. As wonderful as every aspect on stage may be, the new orchestration is a true highlight of this season. British conductor and music scholar Martin Yates has carefully and intelligently re-orchestrated the score of Massenet’s music, which was originally stitched together by Leighton Lucas for MacMillan’s Manon in 1974. The result is a consistent, fluid piece of music that gently supports the dancing whilst also enhancing the emotional effect of the dramatic story. Maestro Nicolette Fraillon leads Orchestra Victoria in a finely nuanced rendition of this new score. Dynamics are generally quite soft, particularly the very quiet opening bars of the overture, which have the settling effect of drawing the audience towards the music and, hence, the ensuing action. Peter Farmer’s sets are designed on quite an epic scale, with set changes within each of the three acts taking place remarkably swiftly. Although these sets are admirably lavish and evocative, they are traditional to the point of appearing quite dated, particularly coming directly after 2013’s brand new production of Cinderella. 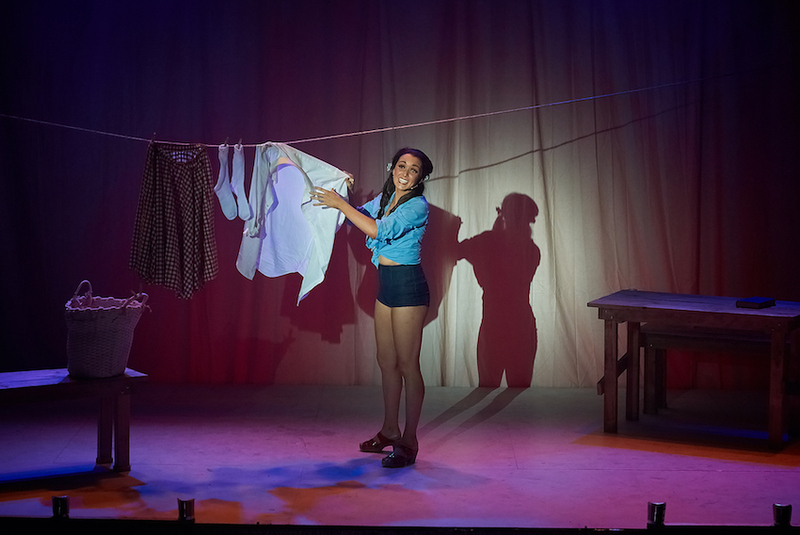 Farmer’s costumes have a more timeless quality, and are certainly looking their best thanks to revitalisation from the Australian Ballet Wardrobe department. Innocent young lovers Manon and des Grieux stand out in powder blue against the seedier tones of burnt ochre, plum and olive worn by the townsfolk of 1780s Paris. Farmer’s designs trace Manon’s journey from rags to riches to rags with precision and intricate detail. The description of Manon as the ultimate story ballet is no mere piece of marketing hyperbole. The darkly compelling story advances at a rapid pace, with plot developments of both violent and sexual natures punctuating the central love affair of Manon and des Grieux. There is barely a superfluous step in Kenneth MacMillan’s masterful choreography, with the traditional divertissements and featured dances of traditional full-length ballets largely eschewed in favour of almost nonstop action. Having previously staged Manon in 2008, The Australian Ballet is fortunate to have mature Principal Artists who are familiar with the work. Their superb work has been enhanced by guest repetiteurs Patricia Ruanne and Mark Kay. In the final Melbourne appearances of her highly distinguished 23-year career, Lucinda Dunn makes a superb role premiere as Manon. With her characterisation slanting towards the naïve, loving facets of Manon’s personality, Dunn easily creates an endearing interpretation of the role, making the final stages of Manon’s short life all the more heartbreaking. Having engaged our affections, the sexual danger Manon experiences create palpable tension. Portraying the young Manon with lines of rigid strength, the floppy rag doll Dunn creates for Manon’s death scene is harrowing to watch. Dunn had the full and vocal support of the Melbourne opening night audience, with a round of applause for her entrance and an extended standing ovation for her curtain call. 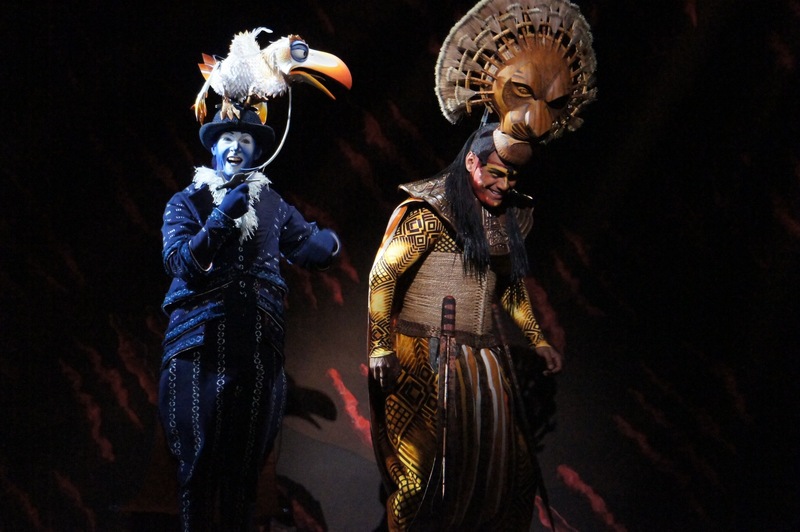 With each year, stellar Principal Artist Adam Bull enhances his superb technique and physical beauty with layers of emotional complexity in his acting. His long elegant limbs are used to superb effect as the impetuous young des Grieux, and Bull develops a soulful, compassionate performance that adds significantly to the pathos of the story. 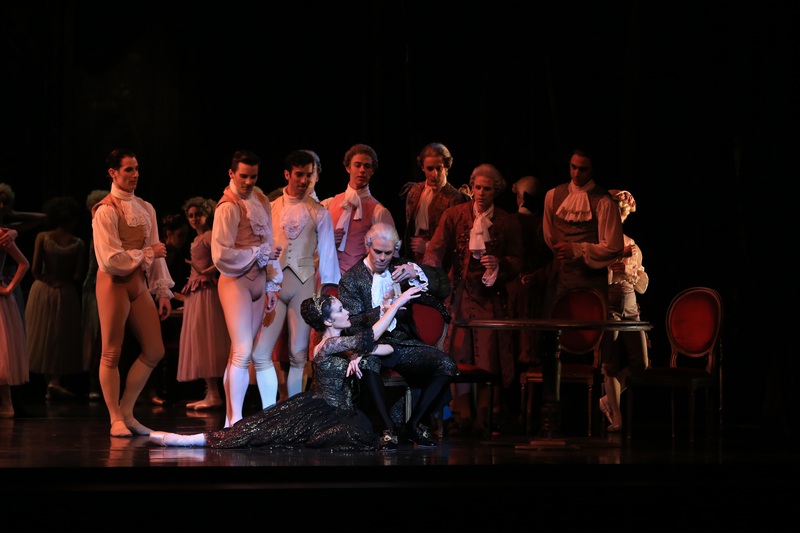 An example of Bull’s strong stage presence comes in act two as des Grieux seethes with anger and jealousy at the sight of his beloved Manon on the arm of wealth Monsieur GM. While des Grieux has little or no dancing in this scene, Bull achieves the full range of emotion with his acting skills and physical presence. Beginning with an energetic early solo that conveys des Grieux’s instant love for Manon, Bull continues through the ballet in excellent form, achieving a touching chemistry with Dunn. The death scene pas de deux from the pair is extraordinary in its level of physicality and trust and in its dramatic effect. Principal artists Andrew Killian and Lana Jones are luxury casting for the supporting roles of Lescaut, contemptibly avaricious brother of Manon, and Lescaut’s flighty mistress. Like Bull, Killian also brings a notable maturity to the role, matching the quality of his dancing with a sinister but believable acting performance. 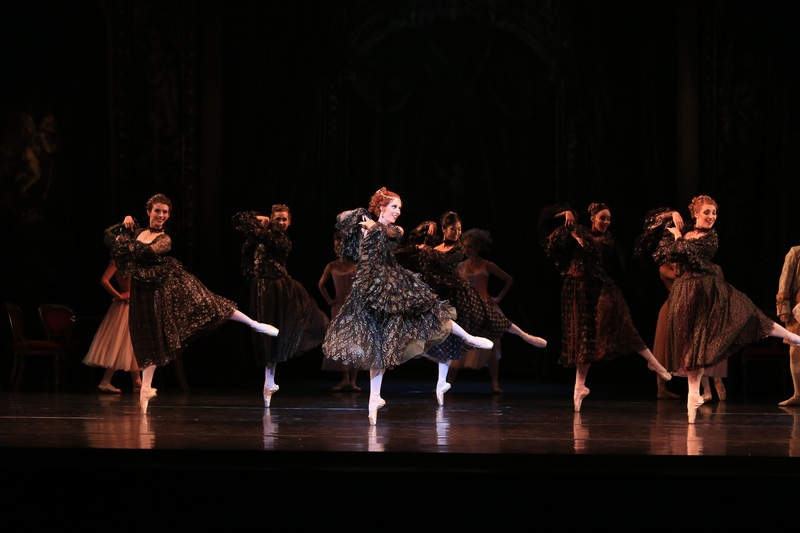 Jones tosses about her character’s head of red curls as the mistress dances to dazzle her lover and the assembled crowds. 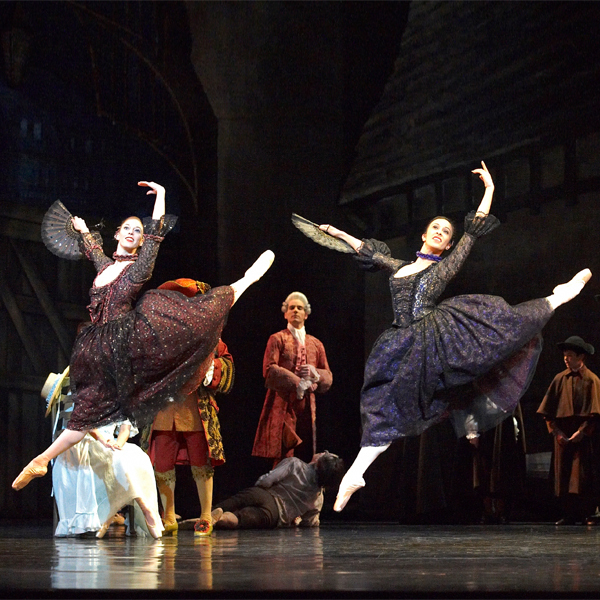 Killian and Jones share an absolutely brilliant pas de deux in act two as they dance at a party while Lescaut is drunk. Providing a welcome burst of humour, their precision in this sequence is quite breathtaking. Did I mention luxury casting? How about the Australian Ballet’s longest serving Principal Artist Steven Heathcote as the dastardly Monsieur GM and beloved former Senior Artist, and longtime ballet supporter, Julie da Costa as the decadent Madame X? Both of these artists bring an effortless grace to their roles and are a pleasure to watch. Da Costa is particularly effective when Madame X presents her courtesans at the party, showing Madame X to become quite carried away, perhaps with memories of her own past as a courtesan, in the centre of the circle of women. Heathcote’s handsome stature and confident presence allow him to easily convey the ruthless sexual and financial greed of Monsieur GM. As the Beggar Chief, Soloist Brett Chynoweth again proves his value as a quirky and dynamic featured performer. 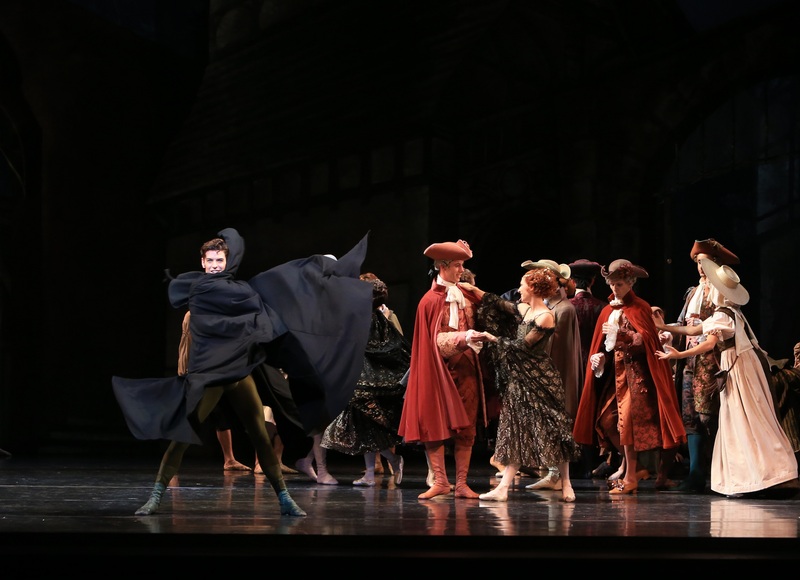 While Manon may not be the right ballet for the youngest of dancers to watch, adult audiences are sure to succumb to its extravagant and intoxicating quality. Manon plays at State Theatre, Arts Centre Melbourne, until 24 March 2014, before playing at Joan Sutherland Theatre, Sydney Opera House, 3 – 23 April 2014. 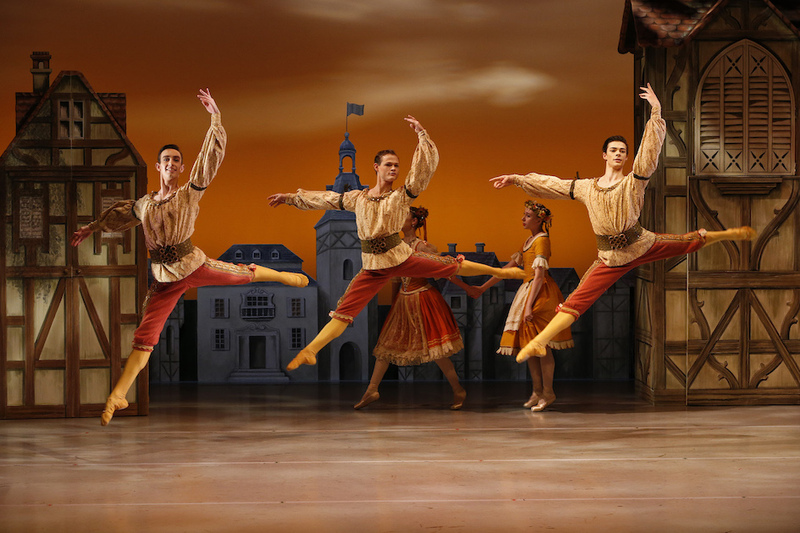 Photos: Courtesy ofThe Australian Ballet. This review published on Theatre People 15 March 2014.